By purchasing online or offline from Uksegboards.co.uk you are entering into and agreeing to the following contractual agreement, also known as our Terms and Conditions. Note that these terms and conditions may also hereby be referred to as ‘this contract’, ‘document’, ‘agreement’, ‘conditions of use’ or ‘terms’ below. Customers have the right to cancel their order after placing it. Customers must email us to cancel an order and a full refund will be actioned within 14 working days (this only applies if the order has not been shipped), all funds will be refunded to card/payment source provided at time of purchase. If order has been booked with the courier on our side at time of cancellation you may be charged the relative postage costs, free shipping options will incur a £10 charge. Any item you have accepted is your responsibility to arrange postage back to us until it reaches our warehouse. Therefore, please ensure that you send your item back to us using a delivery service that insures you for the value of the goods. As soon as the item is back with us and has undergone routine checks, we’ll be able to take your case further and either exchange, repair or refund your item as agreed. Please note, it can take up to 14 days for a return to be processed once we have received your consignment. Once an order has been cancelled or returned for a refund the process can take up to 14 working days. Please note we only accept returns from the person who brought the product(s). Please note if the board has been used or is damaged then we will not issue a refund, the item will be repaired under the 12 months warranty or replaced if deemed to have a manufacturers fault. In the unlikely event that a Segboard is faulty when delivered you will need to inform us by email ([email protected]) within 24 hours of receiving the item. 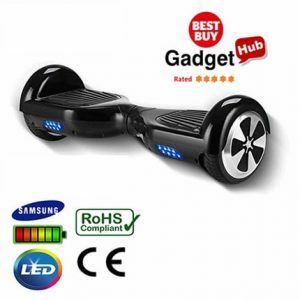 Only for the above instance, we will arrange collection of the Segboard and will send you a replacement within 7 days. If an item is reported as faulty after the initial 24 hour period and within the 14 days cooling off period and there is no damage to the board, charger and accessories then a repair or replacement will be arranged. UK Segboards will arrange the collection and re-delivery of the item. Please note a repair or replacement may take up to 30 days from the original date the goods were received. If the problem is not resolved by following the troubleshooting guide then please refer to the section below. If your item is within the 14 day cooling off period then a repair may be possible as long as the board, charger and accessories are free of any damage and / or seals are intact, or else the warranty is void. If the item cannot be repaired then a replacement will be issued. For any items outside the 14 day cooling off period that are deemed as faulty then there will be a £25 inspection fee to ascertain any faults that may exist. The customer is responsible for delivery charges to the Uksegboards repair centre and for the delivery charges incurred by UK Segboards to return the item back to the customer. A written quotation will be provided to the customer before any work is carried out which will include the delivery charge of the item back to the customer. Under the Consumer Rights Act if the goods purchased are found to be damaged upon arrival, and is proven not to be the fault of the customer, we will provide either a replacement or refund. This is providing we have first examined the board to check for any faults or damages. Only the basic delivery charge will be refunded. If you choose to cancel your order at this point, you will receive a full refund with basic delivery cost included. Please note it can take up to 28 days for a return to be processed once we have received your consignment. Our boards come with 1-year limited manufacturer warranty to cover the internal battery and electronic components only this specifically does Not include the charger pack/plug. The warranty is only valid if the product is charged every 30 days in order to maintain a minimum battery charge level. If upon examination it is discovered that the battery within the product has not been charged then the overall product warranty will be void as it can cause an effect on other components as well as the battery. The warranty starts from the point of delivery to the customer and is only valid in the UK. Due to the nature of the product, we cannot be held responsible for the misuse of the product or accessories. The warranty does not cover: damage due to misuse; theft, aesthetic damages, paint scratches, general wear and tear, damage due to attempt of repairs; or modifying the board, components or charger accessories in any way. Board, charger and any accessories must be free of any damage caused by misuse and/or seals must be intact or else warranty is void. Please accept our apologies if you have received a wrong, damaged or faulty item. We understand how frustrating this can be and want to resolve this as quickly as possible for you. If you’ve received the wrong item you must return the item in the same condition you received it in within 14 days to qualify for a refund or a replacement. If the item is slightly different to the description provided on our website, please refer to the ‘Product Descriptions’ section of the conditions. For damaged or faulty items please contact us via email on [email protected] within 24 hours of receiving the item. You will need to explain where the fault or damage is located and we will then explain what to do next in regards to returning the item. Please contact us first before returning any items, as any items returned without notification will be rejected. Do not attempt to fix a faulty or damaged item as this will void the warranty and we will be unable to accept any returns. Please accept our apologies if you have not received your item. This happens very rarely but when it does we appreciate how frustrating it can be and will do our best to resolve this as quickly as possible. Before contacting us please leave a reasonable amount of time to allow your delivery to arrive (14 days), our estimated delivery times are shown on our couriers tracking page, this information can be obtained by emailing us on [email protected] Delivery may be delayed by couriers due to busy periods such as Christmas or Easter, or adverse weather conditions. To receive a refund or a replacement product you must allow 14 days from the order date for the delivery to complete before it can be deemed to be lost, however any claims after 30 days from the order date will be rejected. From time to time we may run promotional or special offers. These terms apply to any offers available on Uksegboards.co.uk or its related social sites such as Facebook or Twitter. We reserve the right to end or change offers at any time without any notice. These offers are also available on a first come, first serve basis and cannot be reserved. Anything offered “free” is subject to stock availability at the time of purchase and you are not guaranteed to receive “free” add-ons. Please check stock availability in advance before submitting your purchase. Using any of our products, like all sports, recreational or transportation equipment carries an inherent risk of injury, damage to property or even death. You should always wear a helmet, pads and any other protective equipment to limit your risk. You should use the product within your abilities. You should familiarise yourself to stop (slide), mount, ride and dis-mount and don’t board in traffic or other dangerous locations that may increase your risk of injury or causing damage. The safety instructions published on our website and within the user manual must be adhered to at all times. 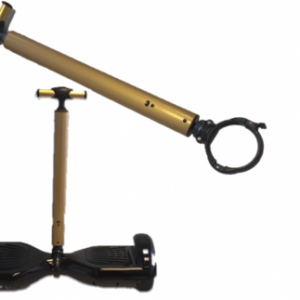 Failure to do so may increase risk of injury, damage to property or even death, in which case Uksegboards will not be liable to cover any associated costs or damages arising from the negligence of the safety instructions. Please also note that under the 1835 Highway Act, the use of hoverboards are not permitted on public footways, pavements, cycle lanes, public parks and roads; the only legal location for use of hoverboards is on private land. Some our products may be subject to transportation restrictions applied by third party transportation bodies and organisations i.e. commercial airlines, freight companies, public railways, courier companies etc. Uksegboards will not be liable for any damages whether related to financial loss, property, injury or loss of life that arises from the failure to comply with the terms and regulations set out by third party organisations. In no event shall Uksegboards.co.uk be liable for any direct, indirect, punitive, incidental, special consequential damages, to property, injury or loss of life, whatsoever arising out of or connected with the misuse of its products. All products are sold subject to the terms and conditions listed here. Please read them carefully before using the website. By using the Uksegboards.co.uk site you agreeing to be bound by these terms and conditions. By visiting www.Uksegboards.co.uk or sending e-mails to us, you are communicating with us electronically. You consent to receive communications from us electronically. We will communicate with you by e-mail or by posting notices on this site. You agree that all agreements, notices, disclosures and any other communications that we provide to you electronically satisfy any legal requirement that such communications in writing would undergo too. All content included on this site, such as text, graphics, logos and software, is the property of www.Uksegboards.co.uk or its content suppliers and protected by international copyright laws. The compilation of all content on this site is the exclusive property of Uksegboards.co.uk and protected by international copyright laws. All software used on this site is the property of Uksegboards.co.uk or its software suppliers and protected by International copyright laws. Uksegboards.co.uk grants you a limited license to access and make personal use of this site and not to download (other than page caching) or modify it, or any portion of it, except with express written consent of Uksegboards.co.uk. This license does not include any resale or commercial use of this site or its contents; any collection and use of any product listings, descriptions, or prices; any derivative use of this site or its contents; any downloading or copying of account information for the benefit of another merchant; or any use of data mining, bots, or similar data gathering and extraction tools. You may not frame or utilize framing techniques to enclose any trademark, logo, or other proprietary information (including images, text, page layout, or form) of Uksegboards.co.uk and our affiliates without express written consent. You may not use any meta tags or any other “hidden text” utilising Uksegboards.co.uk name or trademarks without the express written consent of Uksegboards.co.uk. Any unauthorized use terminates the permission or license granted by Uksegboards.co.uk You are granted a limited, revocable, and nonexclusive right to create a hyperlink to the home page of Uksegboards.co.uk so long as the link does not portray Uksegboards.co.uk its affiliates, or their products or services in a false, misleading, derogatory, or otherwise offensive manner. You may not use any Uksegboards.co.uk logo or other proprietary graphic or trademark as part of the link without express written permission. If we fail to comply with these terms and conditions, we shall only be liable for the purchase price of the goods and any proven losses that you suffer as a result of our failure to comply (whether arising in contract, tort (including negligence), breach of statutory duty or otherwise) which are a foreseeable consequence of such failure. Strikes or industrial disputes at a national level; strike or industrial disputes not employed by Uksegboards at any level, including subcontracting, supplying or outsourcing at a moderate level. In the event of a force majeure event, our performance is deemed to be suspended for the period that the force majeure event continues, and we will have an extension of suspended performance for a duration after period. Upon the completion of any force majeure event we use our efforts to resume services as quickly as reasonably possible. We will have no liability in any delay costs, losses or expenses due to the suspension of our services. We will use our reasonable endeavors to bring the force majeure event to a close or to find a solution by which our obligations to you may be performed despite the force majeure event. If you use this site, you are responsible for maintaining the confidentiality of your account and password and for restricting access to your computer, and you agree to accept responsibility for all activities that occur under your account or password. Uksegboards and its affiliates reserve the right to refuse service, terminate accounts, remove or edit content, or cancel orders in their sole discretion. Uksegboards and its affiliates respect the intellectual property of others. If you believe that your work has been copied in a way that constitutes copyright infringement, email us with your complaint. Unless otherwise specified the intellectual property rights in the contents of all the pages in this website, are owned or licensed to Uksegboards, or are used with permission from the owner. Goods are marked with the crossed out wheeled bin symbol to show that they were produced after 13th August 2005, and should be disposed of separately from normal household waste so that they can be recycled. Uksegboards are obliged under these regulations to offer our customers free take-back of their WEEE on a like-for-like basis when you buy from us a new Electrical or Electronic product. Customers must return their WEEE item to us within 28 days of purchasing their new item. Uksegboards attempt to be as accurate as possible. However, Uksegboards.co.uk does not warrant that product descriptions or other content of this site is accurate, complete, reliable, current, or error-free. There may be slight deviations on the actual goods from the product images shown on our website; providing these deviations do not affect performance or quality of the product in any major way, we do not have to provide any refund or replacements. We are not liable for any incurred cost or expenses due to any inaccuracy or error(s) in the description of any goods. We notify you of any changes to these terms and conditions before we accept your order, in which case we have the right to assume that you have accepted the change to the terms and conditions unless you notify us to the contrary within seven working days of the date specified on the receipt of the good(s) ordered. By visiting Uksegboards.co.uk, you agree that the laws of the United Kingdom without regard to principles of conflict of laws, and will govern these Conditions of Use and any dispute of any sort that might arise between you and Uksegboards.co.uk or its affiliates. Any dispute relating in any way to your visit to Uksegboards.co.uk or to products you purchase through Uksegboards.co.uk shall be submitted to confidential arbitration except that, to the extent you have in any manner violated or threatened to violate Uksegboards.co.uk intellectual property rights, Uksegboards.co.uk may seek injunctive or other appropriate relief in any UK court. No arbitration under this Agreement shall be joined to an arbitration involving any other party subject to this Agreement, whether through class arbitration proceedings or otherwise. For complaints relating to orders placed through our website please email [email protected] to assist us in dealing with your complaint, please detail all aspects of the complaint, your order number and your contact details. Uksegboards retain the right to moderate or remove, or request the moderation or removal of any reviews, posted on Uksegboards owned or affiliated platforms, or any other third party platforms at our sole discretion. Please review our other policies, posted on this site. These policies also govern your visit to Uksegboards.co.uk .We reserve the right to make changes to our site, policies, and these Conditions of Use at any time. If any of these conditions shall be deemed invalid, void, or for any reason unenforceable, that condition shall be deemed severable and shall not affect the validity and enforceability of any remaining condition. Uksegboards.co.uk provide their services to you subject to the following conditions. If you visit or shop at Uksegboards.co.uk, either online or offline, you accept these conditions. Please read them carefully. 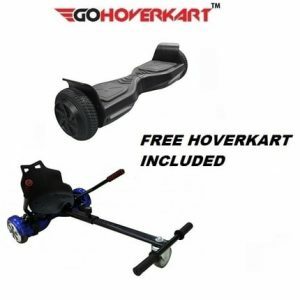 In addition, when you use any current or future Uksegboards.co.uk service or visit or purchase from any business affiliated with Uksegboards.co.uk, whether or not included at Uksegboards.co.uk, you also will be subject to the guidelines and conditions applicable to such service or business.